The boot that revolutionized bowhunting footwear, the Rutmaster took the standard rubber boot and solved all its problems. Our ExoFlex® technology made the Rutmaster easy to slip on and take off, while still providing comfort and fit. 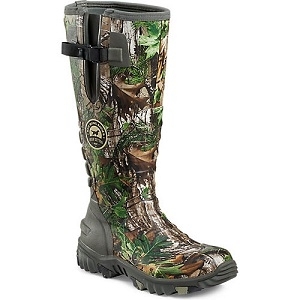 The upper also features a lightweight neoprene and our ScentBan™ technology. Our Mud Claw RPM sole provides superior traction and stability, for a no-slip walk to your deer stand.